Updated 1/12/2013 Episode 37, scene 17, cuts 45, 47. Maron has just visited this sick boy, who thinks he’s been abandoned in the hospital by his self-centered parents. She knows that his mother visits every morning, but for some reason refuses to open the door to her son’s private room. Furious, the cynical Zen accuses Maron of lying to try to appeal to his emotions, and orders her out of the room. Then, after she leaves, he ruefully admits to himself that he wishes he could believe that what she says is true. 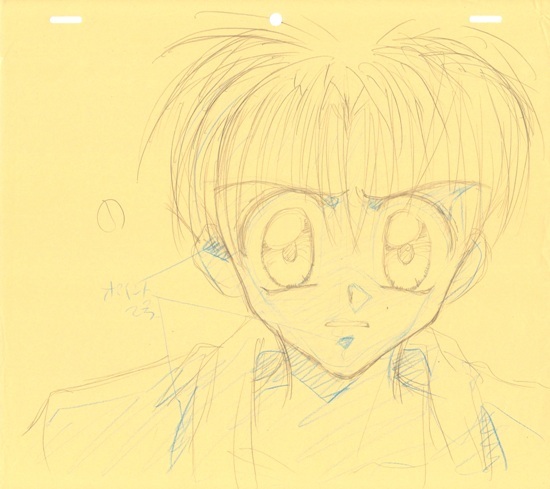 I’ve featured the rough sketch by Yoshihiro Sugai, the episode’s animation director, as it shows the emotional power this artist could get with his distinctive sketching style. The more finished genga is in the first thumb. 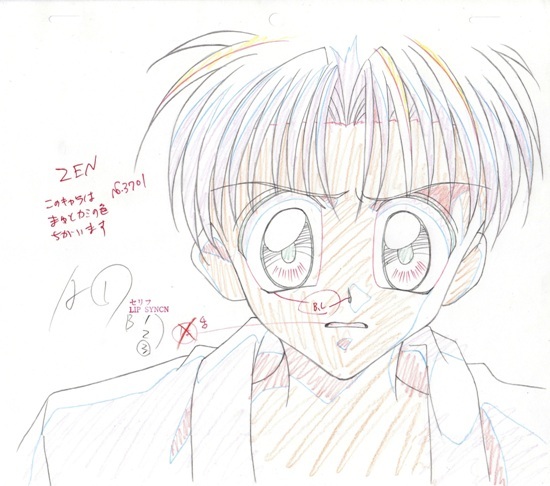 The problem, as Maron/Jeanne learns, is that Zen has made a deal with the devil to repair his congenitally defective heart, with the understanding that he would never entertain any kind of love or affectionate feelings. 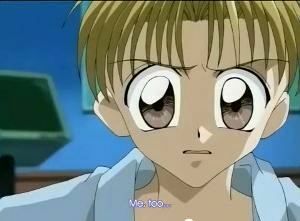 Whenever he comes close to doing so, as he does in this scene, the demon in his new heart reminds him of his promise by temporarily stopping his heart. The second half of the cut graphically shows what happens. 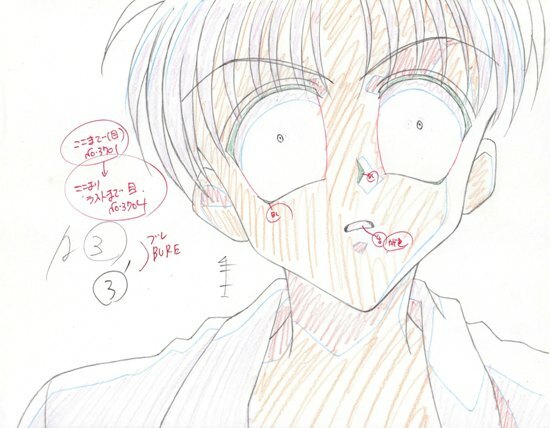 I’ve added the A3 genga in the second thumb, showing the way his face begins to distort as the seizure racks his body.